Celebrate National Parks Centennial in the American Southwest! On August 25, 2016, the National Park Service turns 100! People everywhere have embraced the opportunities to explore, learn, be inspired and have fun in the 407 national parks across America. There’s no better place to celebrate the National Parks Centennial than in the American Southwest. The Southwest is home to the magnificent Arches, Bryce, Zion, Grand Canyon, and Capitol Reef National Parks. 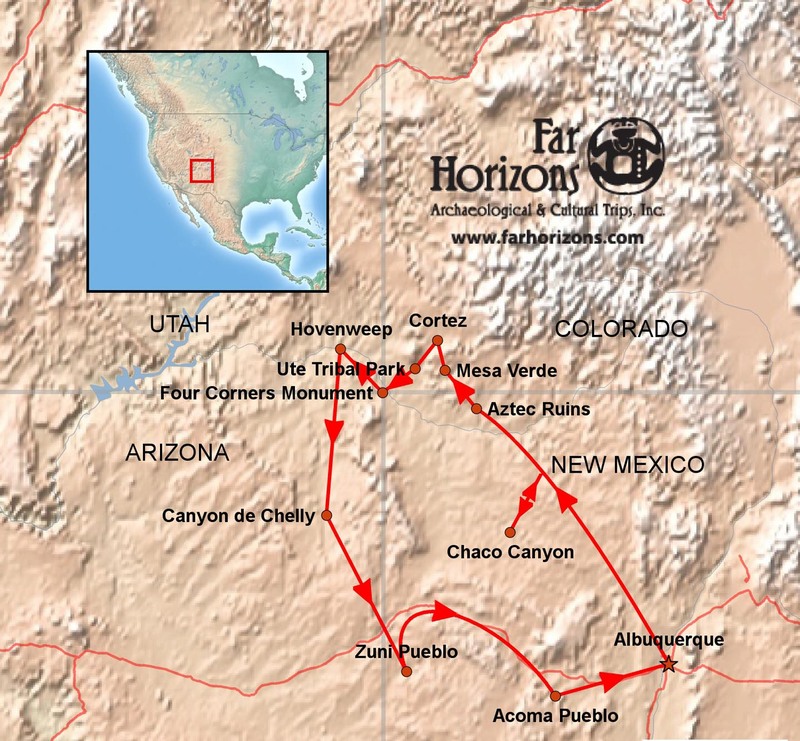 The Four Corners area of the American Southwest is one of the most breath­taking landscapes in the world. It is an enchanting land of painted deserts, verdant forests, and towering red mesas visible for miles under the brilliant sunlight. Mesa Verde National Park is the first national park set aside for its archaeological treasures. It was designated a UNESCO World Heritage Cultural site in 1978. Around 600 AD, a group of Native peoples built cliff dwellings in the canyons and occupied them for more than 700 years. During the centuries they built elaborate stone multi-storied “apartment houses” in the sheltered recesses of the towering canyon walls. 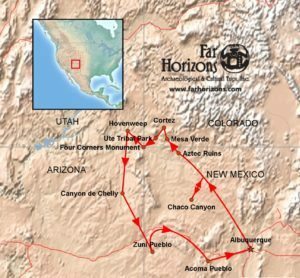 Join Far Horizons for an extraordinary nine day tour of the spectacular Four Corners, August 6 – 14, 2016. Our trip begins and ends in Albuquerque, New Mexico. The itinerary can be found here.